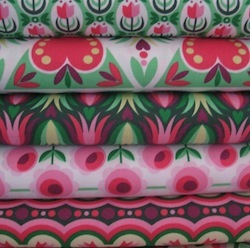 This Dutch Love collection is beautifully designed by Susanne Firmenich for Hilco fabrics. 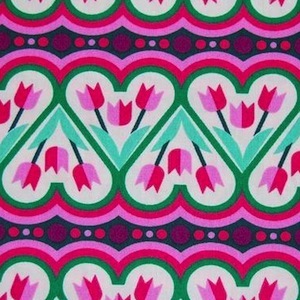 I love the use of the colour in this print, various pinks alongside 2 tones of green. 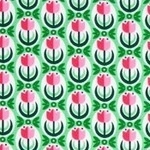 The heart shapes hold the tulips. Scale wise the heigh tof the heart shapes are 5cm.